If you need a compact, low-frills gaming keyboard, consider the Corsair Vengeance K65, on sale today for $55. Today’s a great day to be looking for a mechanical gaming keyboard that won’t take up too much room on your desk. 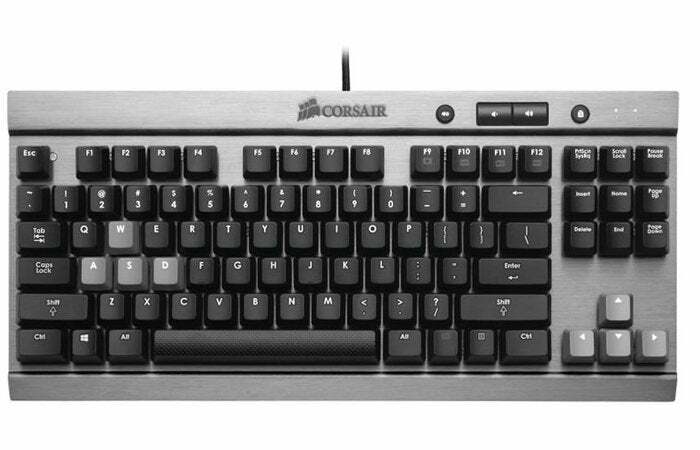 Both Amazon and Newegg are selling the Corsair Vengeance K65 mechanical keyboard for $55 today. That’s a pretty good price, as Amazon was selling this keyboard for closer to $75 earlier in the week. Newegg’s sale ends on Friday night, while Amazon’s pricing doesn’t have a time limit. The Vengeance K65 features Cherry MX Red switches, which may not appeal to some. Blue, brown, and black are the other switch types we talk about, with Blue being the “all-purpose” favorite for both typing and gaming. MX Reds don’t have that same tactile feedback as other switches. This can be good for gaming as MX Red often allows for quick double or triple taps. Beyond the switches, the Vengeance K65 is a full-size compact keyboard. It lacks the number keys, which is why it’s able to be so compact. The body of the keyboard is made from anodized aluminum, the keys feature anti-ghosting, and there’s a detachable USB cable to make it easier to move it around. What the Vengeance K65 doesn’t have is RGB lighting or a big time programmable keys set-up. But for beginning or weekend gamers this keyboard will get the job done.